I’ve been itching to etch lately. Years ago, one Christmas I was super pregnant with Jack, living in our first real house and at the peak of homemaker bliss. We were so tight on funds so it was a handmade holiday. I discovered etching glass and promptly personalized beer mugs for all the men in my life. They were a hit but I haven’t etched since. 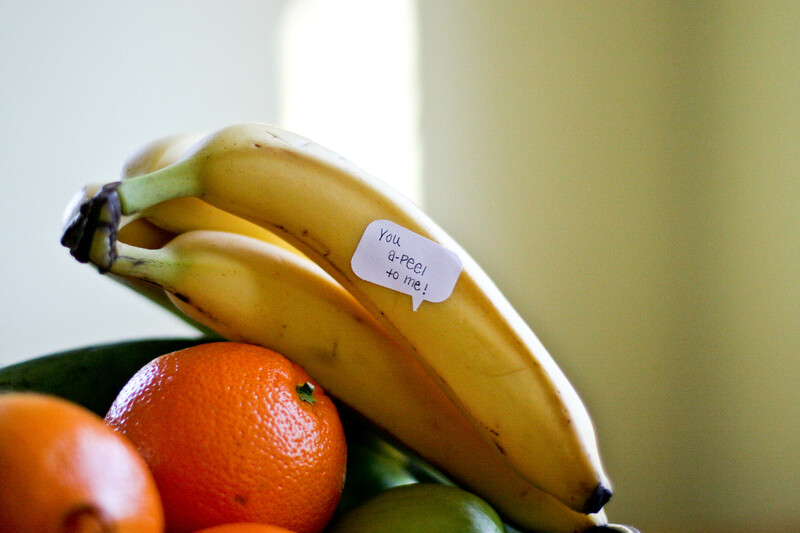 The idea popped back in my mind when we started the Swearing is Caring project. 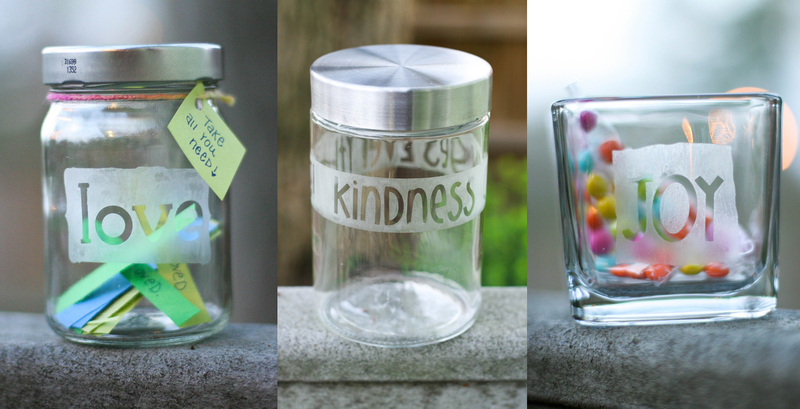 I thought the swear jar needed something special so we made a “Kindness Changes Everything” jar today. All you need is a jar, some letter stickers (lots can be found in the scrapbook section), and some etching cream. I made a few more because it’s hard to stop once you get started. 1. Make sure the stickers are smooth and press down firmly so the cream doesn’t wander. 2. Leave the cream on longer than the bottle says, I usually wait twice as long. 3. Try to brush on the cream as evenly as possible, and use a good amount. 4. Simply wipe off the cream with a paper towel, then rinse with water and peel stickers off. 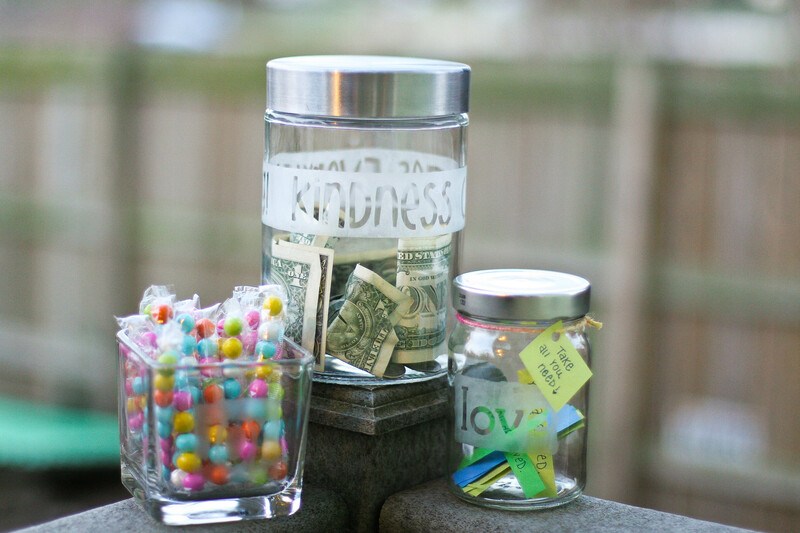 Besides the kindness changes everything jar, I made a LOVE jar with little strips of love inside. I placed the jar at a local park with a little tag that says, “Take all you need.” It was a spin off from a flyer I saw online (so wish I could remember where so I could credit this lovely idea). Some times even a little strip of paper (or 50 strips) can remind you that you are indeed loved. The JOY jar was for me and filled with chocolate as I’m sure most of the little joys in my everyday life have included the divine confectionary. It’s nice to include yourself in the crafty goodness every now and then. Can’t wait to see if the love is gone tomorrow…and find out where we can spread some more. It was a flock of blessings for a dear and amazing friend who will be a bride very soon. A group of women gathered to bless her way, her life, her great love. I made a blessing tree inspired by her most lovely invitations. 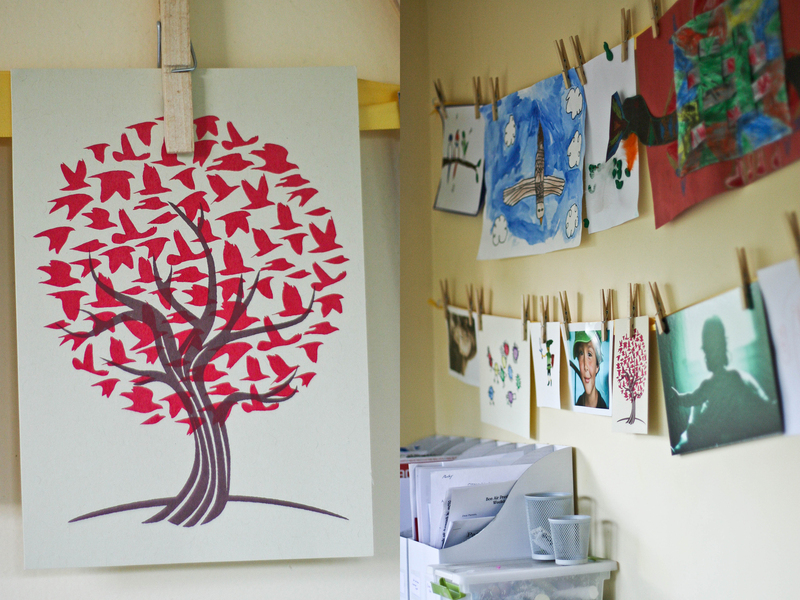 Lucy was in total love with something to hang her wishes and art on, to look at them over and over. It makes me want to make one for us. I was in love with the art from the invitation (by Noah from Another Limited Rebellion design) , so much so it has been hanging on our art wall in breakfast nook/art studio. Big deal people, only the really special stuff makes it to the wall. There is just something about the birds, what they bring and take away, and making a home in a tree sounds dreamy to this girl. A styrafoam block held the tree in place and I covered the top with a round piece of brown paper. The birds were cut out over a dreamy night by myself after all had gone to bed, just me, the dog, some scissors and Netflix. It was pure loveliness. You can find the bird template here, I have no printer since the move so I traced it right from the light of my screen. 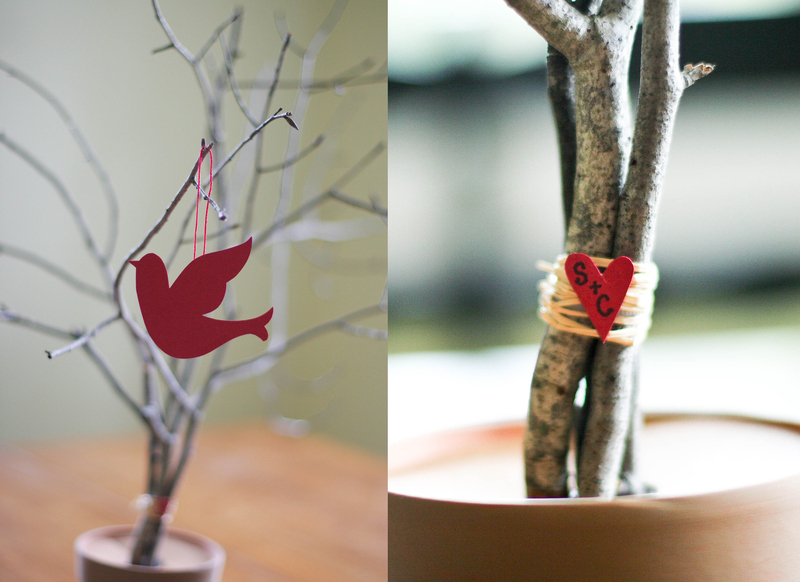 Each woman wrote a blessing or a wish and hung the bird in the tree. It was ridiculously sweet. This is a great project for inviting some intentional goodness into your space. 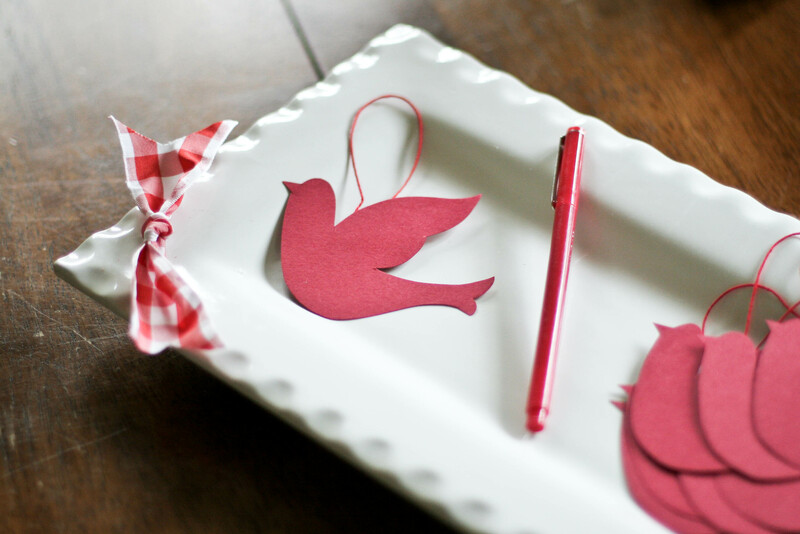 Kids will love writing their own wishes, love notes, blessings too. Seasons are a great reminder to turn over something new on the tree, all kinds of earthy goodness and creations can make it unique. 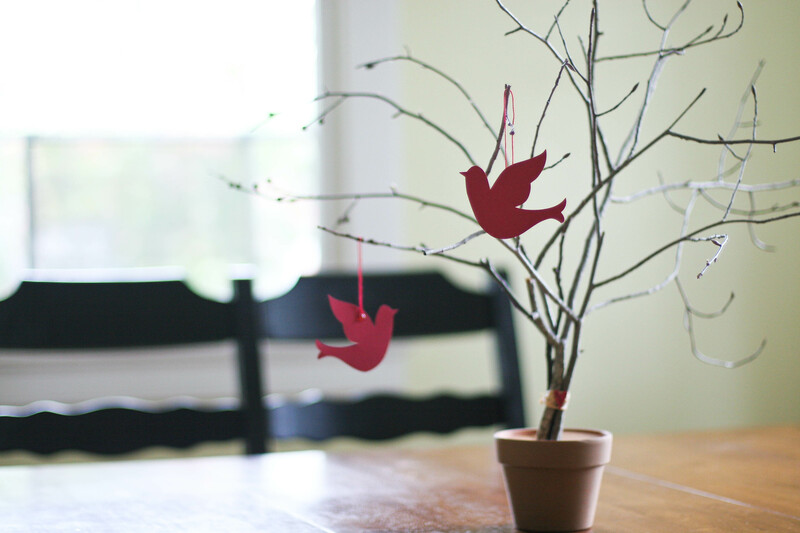 So now I am off to make a tiny version for our family…may birds of blessings find a tree near you today too!